202 base set cards – 100% of the 200 base set! 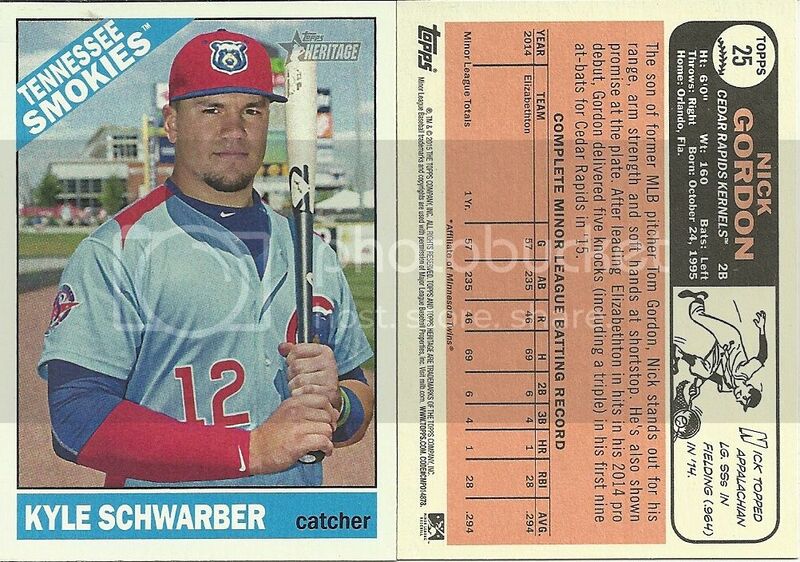 Continuing their run of Retro and throwback sets, Topps went with the 1966 design for this year’s Heritage set. I have never been a huge fan of retro card sets but I do like the Heritage designs over “art-style” sets. If they are going to recycle a card design, I also like the they give the treatment to both major and minor league players. The autographs are sticker autos. Overall a solid rip even if you do not recognize many of the names. I always give high marks for pulling a complete set from one box! 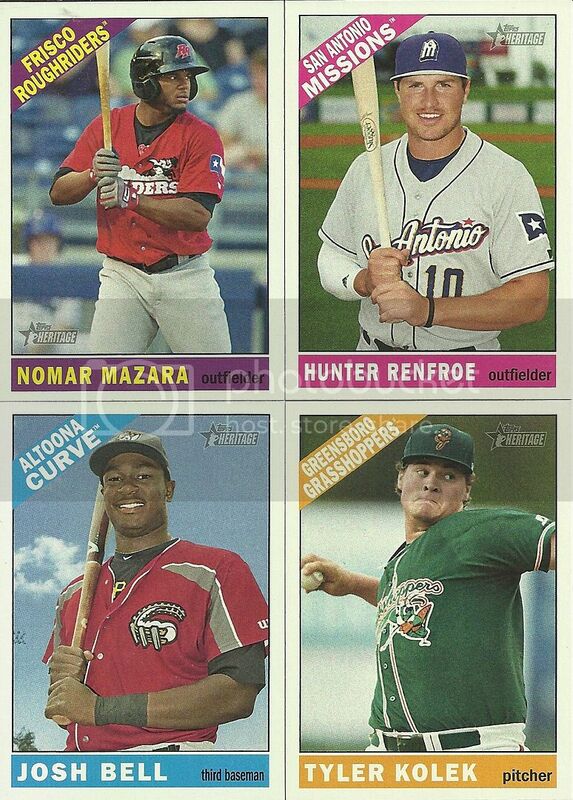 2015 Topps Heritage Minor league will appeal mostly to set builders and prospectors. Buy a box and trade your Tigers players to me!